Seventy to eighty percent of how your body responds to a training stimulus is determined by your genetics. This means that your muscle fibre predominance can be accentuated and even optimised through a proper training stimulus. In short, this means if your training reflects your muscle fibre genotype you’re more likely to get the maximum benefits out of exercise. The following provides a summary of what science tell us about genetics and strength training. 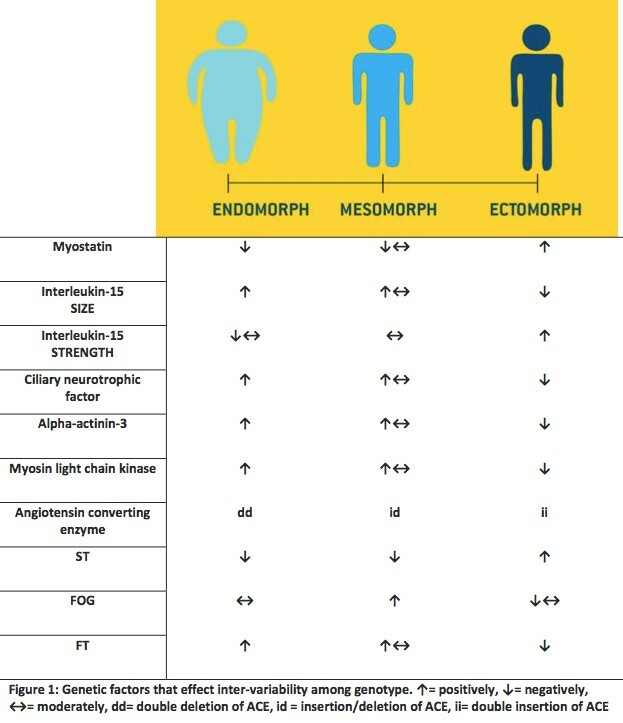 human body shape across a broad continuum. 1. Ectomorphs tend to be thin with long limbs with higher proportion of slow type 1 muscle fibres. 3. Endomorphs tend to be rounded or apple shaped with a higher proportion of fast type 2b muscle fibre. Mesomorphs can expect to get bigger, stronger and enhanced athleticism. Endomorphs, well they tend to be strong anyway, so they’re going to get even bigger and even stronger. respective strength. 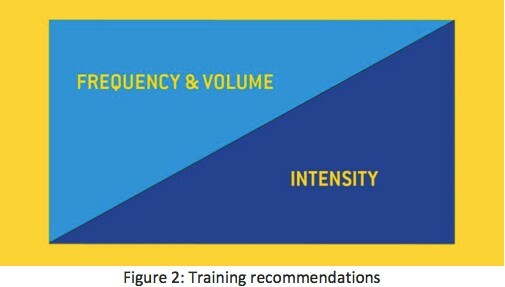 Figure 2 provides a guide to training volume, frequency and intensity. development and positively impact global health. skeletal muscle to functional overload. Exp Physiol 2000; 85: 575-9. McGuff D, Little J. Body by Science. McGraw and Hill. 2009: pp 166-174.
promote myofiber hypertrophy in humans: a cluster analysis. J Appl Physiol 2007; 103: 1488-95.
trained men and women with different ACTN3 R577X genotypes. J Appl Physiol 2009; 106: 959-65.
strength athletes. Eur J Hum Genet 2008; 16: 391-4.
humans across the adult age span. J Appl Physiol 2001; 90: 1205-10.
receptor genetic variation with resistance exercise training responses. J Appl Physiol 2004; 97: 2214-9.
influences. J Musculoskelet Neuronal Interact 2006; 6: 73-86.
preventative strength training and remedial strength therapy.